Westward Ho! Welcome to the Oregon Trail! Your job is to lead your family across over 2 000 miles of rough terrain from Independence Missouri to Oregon City in the middle of the 19th century. They made the journey for adventure fortune or freedom. Now you have the chance to relive history and start your own grand adventure. Will you survive? Will you prosper? It’s time to hit the trail! Play The Oregon Trail like never before! Complete achievements to unlock special items. Play the Oregon Trail® like never before! Complete achievements to unlock special items! Hunt, fish, and drive your wagon for the first time ever! Play through 4 unique stories each with 3 different time periods! Customize your wagon with different tarps and colors! Every play through is different for endless possibilities! 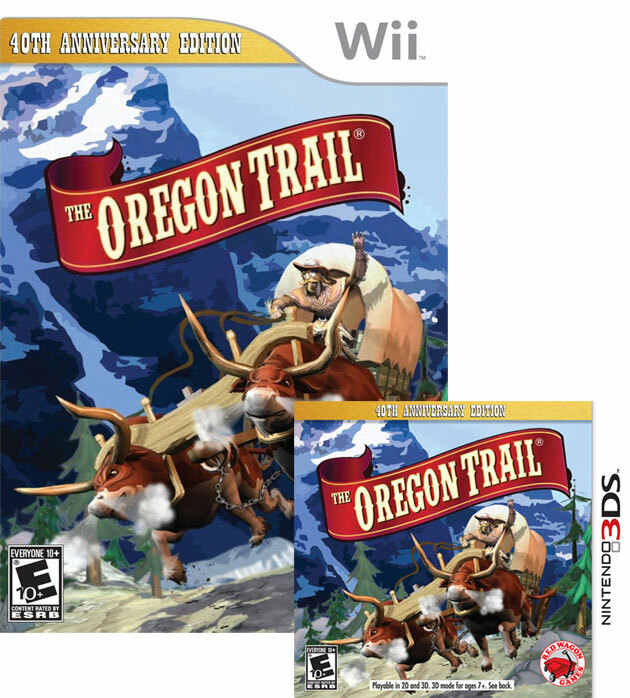 Red Wagon Games is giving one lucky reader The Oregon Trail: 40th Anniversary Edition for Wii or Nintendo DS! To enter fill out the Rafflecopter form below. Ends 2/1 at 11:59PM EST. I received a copy of The Oregon Trail 40th Anniversary Edition for Wii for the purpose of this honest review. All thoughts and opinions are my own. This post was written by me and not edited by anyone. I would win this for myself! I loved playing this game in computer class growing up. Id love it for the Wii! I’d like to win this for the Wii and for myself! I would like to win for my 5 kids, the Wii version! How funny, my son was just telling me this afternoon out of the blue that he’d love to get this game. I’d love to win it for him on DS! Thanks for the contest! What a throwback!!! I would the Wii game. Oh my word! I love this game! Thanks for the chance to win. Oops, I would like the Wii version and it’s for the whole family! Would love to win this for my nephew who lives in Oregon. I would like it for the Wii. I’d love it for my daughter on the Wii..